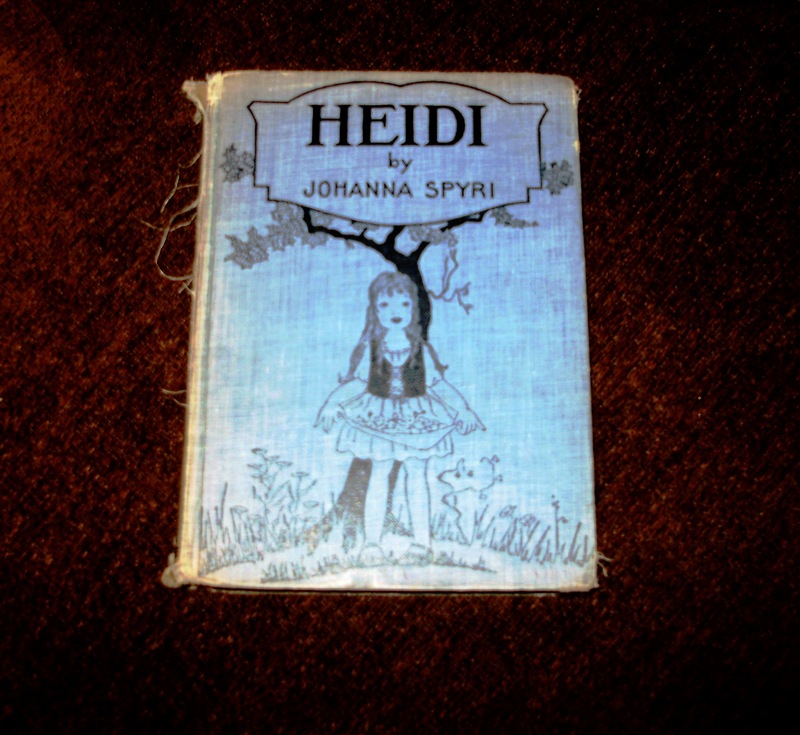 I just finished reading my favorite book from my childhood, Heidi by Johanna Spyri! I read it so long ago I forgot what a good book it is! I found this old book at a garage sale and came home with it. It’s very old but there isn’t a copyright date or publisher name in it. In hand writing on the first page it says: To Ernestine from Jean Louise and Rozann Christmas 1931. The pages are so thick I kept thinking I was turning two pages at a time! I was born in 1938 so it’s seven years older than I am! If you’ve read later editions or have watched the movie, Heidi, you have missed the original story. It’s sad what’s done to books when they’re rewritten or made into movies. The lessons, learned by Heidi and Peter, in the original book are so good and so important to learn. I recently read Carrie and Me by Carol Burnett. It’s good, about her oldest daughter. It has a few coarse words in it. The book is in two sections and I couldn’t read the second section. It’s a book that was started but never finished by Carrie. (She died.) It’s so full of foul language, I just can’t read it. Now I’m reading Hungry River: A Yangtze Novel by Millie Nelson Samuelson. It’s very good and I’m enjoying so much. It’s a trilogy on my Kindle. My daughter, Pam, sent it to me. She knows how I love a good book!!! A few of my friends may know Millie Samuelson! This entry was posted in Books, China, Heidi, Kindle, Me, Reading, Switzerland and tagged Books, China, Heidi, Kindle, Me, Reading, Switzerland. Bookmark the permalink. Thank you for the sampling. Yes, I am always reading 1-2 books. Right now I’m finishing Patricia Hampl’s The Florist’s Daughter, a memoir of growing up in St. Paul, MN. Next, I will be reading Kathy Pooler’s memoir, Ever Faithful to His Lead: My Journey Out of Emotional Abuse. I’ve featured Kathy’s progress as she was finishing the book and plan to review it soon.